A couple of weeks ago, my mom and I had gotten tickets to see La La Land in the AMC IMAX theater. The first time I saw the trailer, I was entranced by the dreamy and melancholy music as well as the connection between Emma Stone and Ryan Gosling as star-crossed lovers. With original songs to play alongside their story, and the movie set in modern Los Angeles with hints of old-fashioned Hollywood, I couldn’t wait to see what spectacle would play on the big screen! Since it was a movie musical, it was delightful to watch the duo perform the occasional dance numbers. From playfully tapping in front of a sunset to dreamily waltzing through the stars, they emulated the iconic dancing from old Hollywood films. Film magazines like Variety have even compared their onscreen chemistry to that of Katherine Hepburn and Cary Grant! “City of Stars” is, without a doubt, my favorite song from the movie. There’s a distant sadness that can be felt (in the minor chords), yet also a sense of hope for the future (with the major chords) which is very moving to listen to. With the uncertainty that any love story can bring, the song reflects the heart’s longing to know peace, no matter what the future threatens to take away. Regarding Ryan Gosling’s piano skills, I was amazed to watch how effortlessly he whizzed across the keys as if he had been playing his whole life. To take on the role of an aspiring jazz musician, he was challenged to master the piano within three months and successfully persevered. It’s truly amazing what you can accomplish in a short amount of time if you set your mind to it. The budding romance between the two aspiring artists, Mia and Sebastian, was so enjoyable to watch. My mom’s favorite part of the movie was when they were sitting in the old movie theater and their hands slowly joined together for the first time. That was the moment their relationship truly started to blossom. As passionate dreamers in their own la la lands, both were invested in pursuing different goals - Mia wanting to become a famous actress, and Sebastian wanting to own a well-known jazz club. Though they had different aspirations, they encouraged one another to reach their dreams, and unknowingly their demise as a couple. The closer they were to material success, the farther they grew apart. Along with the bedazzling display and enchanting story that is La La Land, I believe the movie serves to remind us of the impact that choices have on our destiny. Is the security of a successful career more comforting than the promise of true love and companionship? Do we let our childhood dreams overpower the chance of a happily-ever-after? 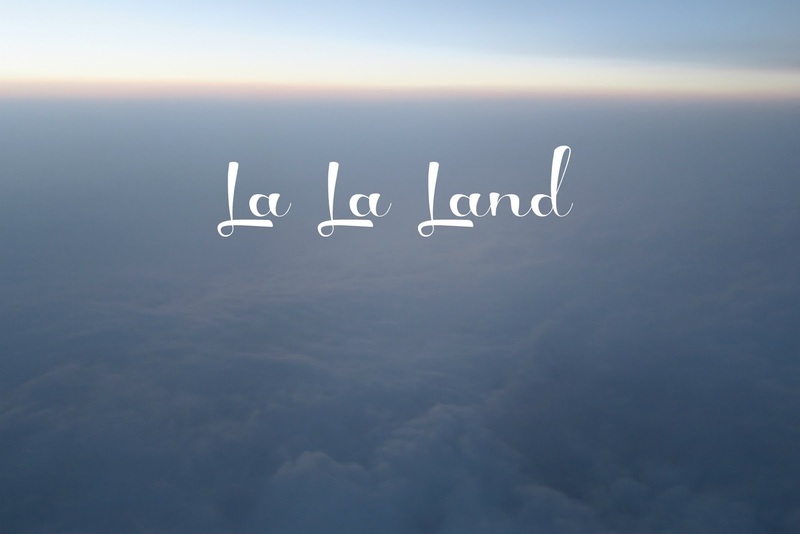 In la la land, anything is attainable, but the real world doesn't guarantee the perfect outcome. After watching the movie and listening to the soundtrack many times over, I was inspired to buy the vinyl. With the rich texture and depth that vinyl adds to sound quality, it was perfectly suited for playing the old-fashioned jazz music from the movie. I was also pleasantly surprised to find the record a transparent blue color, making it one-of-a-kind. Along with the old-fashioned music, I loved all the other details in the movie that originated from old Hollywood movies. From Mia's vintage dresses to Sebastian's Buick convertible, I was convinced that the movie was set in the late 1900s for at least the first half hour! With its amazing scenery, vintage details, and original musical numbers, it's no wonder that "La La Land" has become so successful. The filming was also different from anything that I've seen before. The way the camera followed the characters as they moved made it seem as if we were watching in real time. There were often slow panoramas to give a full view of the setting, and long takes to show how much care and effort was put into each scene. If I had to compare La La Land to other movies, I would reference the fantastic settings to The Great Gatsby, the melancholy ending to The Way We Were, and the upbeat and sometimes sorrowful music accommodating the love story to Moulin Rouge. Nonetheless, the movie is as many critics have said: an original classic. If you're a fan of musicals, old Hollywood films and whirlwind romance, and you haven't already seen the movie, then definitely give it a chance! "Are you shining just for me?"